Show Dogs Movie – Giveaway! Home » Reviews & Giveaways » Show Dogs Movie – Giveaway! Put your paws up, relax, grab a bag of popcorn and get ready to cheer on our four legged friends as they save the day in Show Dogs Movie staring Will Arnett and Ludicris. Grab the popcorn and put your paws up, it’s time to watch Show Dogs Movie! This is a sponsored post to promote #ShowDogstheMovie now on Blu-ray™ and On Demand. Opinions are mine and do not necessarily reflect those of eOne Films. We all know who the real stars of Show Dogs Movie are – that’s right, the dogs steal the “Dog” show and save the day! Police Dog Max teams up with FBI agent Frank, played by Will Arnett, to find and save a baby panda stolen by animal smugglers, but it turns out the panda is not the only animal that needs saving. The search for the panda lands Police Dog Max and FBI Agent Frank at Caesars Palace in Las Vegas at the worlds most exclusive Dog Show. Max and Frank get a quick lesson in what it takes to be “Dog Show” ready and end up as contestants so they can go under cover to save the baby panda. With the assistance of other dogs at the dog show – Philippe, the French Papillon, Daisy the Australian Shepherd, and of course, Sprinkles the Pug :), they all get the job done and save the day! Max not only wins over the dog show judges with his Police Dog skills, but he wins the heart of his partner, FBI Agent Frank. Now is your chance to win your very own copy of Show Dogs Movie! Enter today for your chance to win one of four available Blu-ray™ copies of Show Dogs Movie. You and your pooch can cuddle up and cheer on your favourite dog as they go undercover to save the day! Must not have won with ILoveMyDog MoreThanMyKids.com within the past 3 months. **Contest is open to Canada Only (no Qc). Must be over 18 to enter. Winner is subject to eligibility verification. Void where prohibited by law. Winner has 48 hours to respond once emailed or a new winner is drawn. Only one entrant per ip, per mailing address, per giveaway. 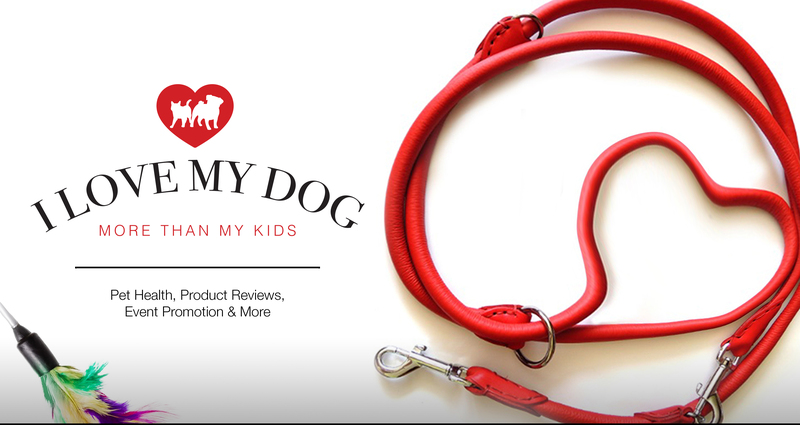 ILoveMyDogMoreThanMyKids.com accepts no responsibility of delivery of prize(s). Delivery of prize is the responsibility of Tag | The Awareness Group. if theirs a Boxer, i would vote for it. I would root for the Australian Shepherd!